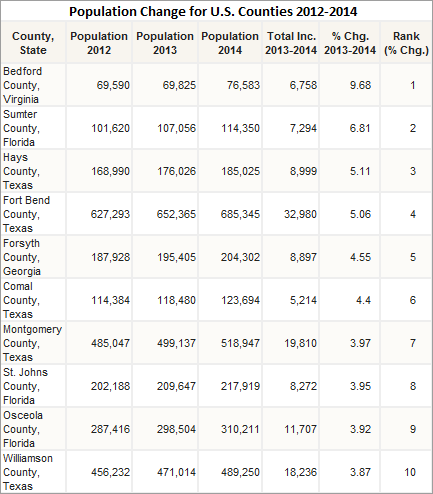 ​​​​AUSTIN - Hays County south of Austin was the third-fastest growing county, by percentage, in the U.S. in 2014, according to new data released by the U.S. Census Bureau. Hays County added 8,999 residents, according to the data. Its population grew from 176,026 in 2013 to 185,025 in 2014, a growth rate of 5.11 percent.